Apaches, the infamous 27-minute short directed by John ‘The Long Good Friday’ Mackenzie, was designed to warn children in rural areas about the perils of playing around farm machinery. It attained a lasting infamy for doing this unforgettably to those who saw it firstly in the intended market of schools. Such was the film’s success that it was also broadcast in TV territories like Anglia and Westward that featured heavily rural areas. 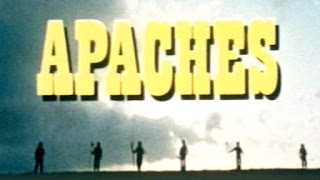 Apaches deserves to be considered alongside mainstream horror films of the era not only for its impact on school-children but for the rare luxury of an above-average budget’s extended running time, enabling it have the time for a narrative and cinematic technical style beyond the usual quick-cutting of a commercial. At almost 30 minutes in the full-length version, it works as much as a piece of fictional movie storytelling as it does as an educational public information film. The log-line above, taken from the BFI’s website, could easily have been the tag-line for a horror movie ad campaign. 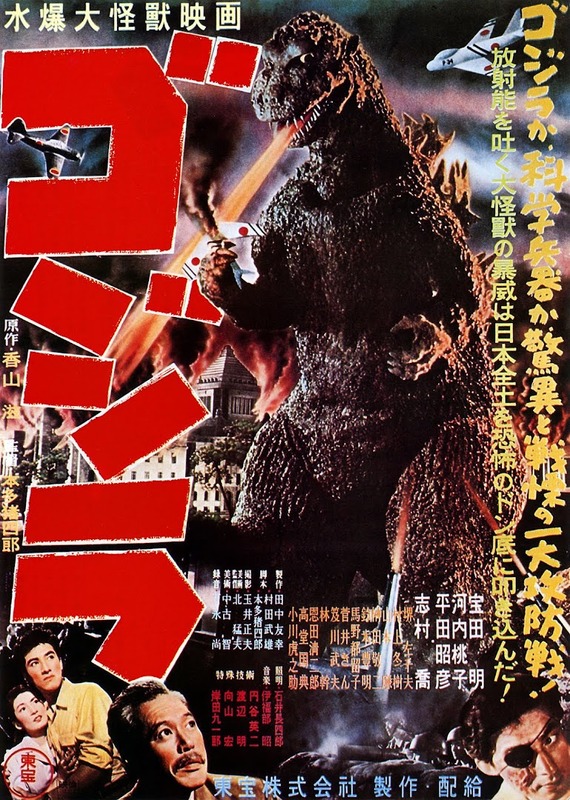 The film was produced by Graphic Films for the government’s Central Office of Information (for whom it eventually broke records for Central Film Library’s distribution of its prints). Mackenzie had begun his training apprenticed to Ken Loach, famed for the realism of his own films, and had so far directed two features including Unman, Wittering and Zigo which already explored an escalating horror atmosphere amongst school-children suspected of murdering a young teacher’s predecessor. As Loach’s assistant director, he would have been familiar with directing within low budgets encouraging young, untutored (amateur) talent, a principle his mentor was famous for adopting in his casting to gain greater ‘truth’. The director of photography was Phil Meheux who likewise moved on to a Hollywood career lensing such blockbusters as the Bond films Goldeneye and Casino Royale for director Martin Campbell. Screenwriter Neville Smith went on to double as both a writer and TV actor. 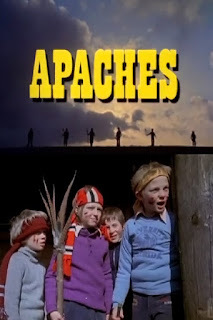 Apaches was shot by necessity very quickly on a farm in the Home Counties in February 1977 using six kids from a junior school in Maidenhead rather than typically precocious stage school children. 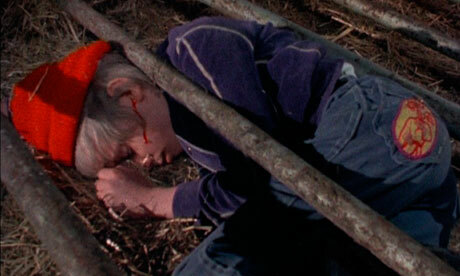 The aforementioned plot centres around their make-believe play- acting around a farm, skilfully cross-cut with later scenes preparing for Danny, the leading character’s birthday party and the aftermath of each death. He narrates the film, which at first marvellously recreates the feel of classic westerns, framing the children in a dusk silhouette against the horizon, titling the movie in the playbill font familiar from the genre. It sounds like it is he who begins the voice-over reading as an American child before switching to his own; if so, it’s a pretty good imitation of an American accent. We see Danny and his gang made-up as playground Indians, led by him stridently as Geronimo, their cheeks daubed with paint and sporting bandannas. Five are tousle-haired boys, plus one girl who ably gives as good as she gets in this company. I’ve already revealed the multiple tragedy at the heart of the story, but it unfolds as a compelling war of attrition in a sense, with Danny’s narration nicely drawing allusions between the struggle of the Native American and his fight for preservation against the white oppressor - and the gradual whittling down of his modern-day merry band. Each of the children’s deaths redoubles his role-play character’s defiant stance. The first child buys it when the posse ‘attack’ a tractor pulling a trailer of hay bales. They whoop after it, with him standing in triumph atop the flat-bed. A moment later, sharp editing has him falling off under the wheels with a fleeting shot of his broken rifle and blood-stains to mark his last fatal stand. This loss is starkly noted by cutting to their teacher in school tearing his label from his empty cloakroom coat-hook. There will be many more victims to the pale-face. Kids of the 1970s will enjoy the evocation of the period in the mentioning of Action Man dolls and the required viewing of TV’s Swap Shop. The dialogue between the cast is always believable – illogically competitive, immature and playful. A game of ‘kick the can’ results in the next boy kicking the bucket when he is engulfed by quick-sand like mud. After he glugs his way to the Choir Invisible, his personal belongings are taken from his desk by a teacher in a barren classroom. Whilst I may be flippant in describing the fatalities, they are handled with taste and weight, the post-mortem repercussions sobering and sad in their consequences. Instead of loading the mood with impending doom, Mackenzie never lets us forget the resilience of the kids. In fact I was slightly confused by the time-line as each death is soon forgotten in pursuit of the next role-play scenario. Is this really supposed to be all on the same day? Danny pulls a fast one on his friends by suddenly deciding he is a white Cavalry General and they are all now effectively cowboys. Sharon protests her confusion. “That’s because you are thick” he offers by way of leaderly troop motivation. Good thing he wasn’t a future corporate Team Bonding organiser. Those people need wiping out. Once the farm (‘Fort Sumner’) is captured, reverting back to Indians again, the group find a brown bottle of unidentified liquid. We all know where that’s going. A tracking shot passes down the line as each tweener red-skin offers their testimony to the gods in pidgin western-movie English: “Me have many scalps”. Sadly, the peer pressure overcomes Sharon’s shrewd apprehension about the mystery toast drink. A couple of sips and she’s shrieking in death-throes of agony at her parent’s house (mercifully left as a house exterior with the bedroom lights on). The fledgling Orson Welles, Danny, switches the game and indeed the genre once more by briefly having them play as ‘70s TV detective faves Starsky & Hutch, complete with some amusing faux-weary cop attitude: “I’m getting’ too old for these capers”. The next child to ‘buy the farm’ gets it by being crushed with a falling metal grille, the shot lingering in powerful stillness as a trickle of blood runs down his cheek. By now the fatalities are so macabre and numerous that it resembles a Friday the 13th film or The Shining (family ravaged by sentient possessed farm). Seriously, it wouldn’t take much for Apaches to be retooled as a supernatural horror film instead of a didactic health and safety piece. Another child jumps off a gate to his doom (this one is lightly unclear) and so it’s left to Geronimo/Danny himself as the last of the Mohicans. By the end, he states his creed nobly, that, having cast aside his tribe’s weapons, “We shall survive” - which is awfully ironic as he takes a header over a hill trying to drive a runaway tractor in the most notorious and brilliantly sickening death. The staging and effects work for the crash is held in the frame with brutal effectiveness, there is no cutting as he plummets down the hill to a hideous stop. This must have shocked youngsters into numbness. Finally, after a brief but telling funeral service, the dirt hitting his coffin with simple finality, Danny’s birthday party goes ahead, but tragically it is turned into a wake for his mourning family. “I wish I was there. Honest” he offers. To compound the warning, Mackenzie closes by scrolling up a list of real-life children who “In the year before this film was made” suffered farmyard death due to electrocution, suffocation in a grain pit, burning to death and via an explosion (a roll-call that reads like a set of cuts from a BBFC video-nasty viewing).